Wanted to take a moment and wish everyone a Merry Christmas and Happy Holidays! Try to take a moment and tap into the energies that are streaming in. They are really quite beautiful. This time of year the energies really amp up. It’s been this way since 2012. A couple of years at Christmas found me pretty sick with digestive upset as the light coming in purged the density from my form. So if you are experiencing this, know that it will pass soon and it is really helping to raise your vibration. Emotionally, many are working on integrating past lives. Some will be getting clues in their dreams while others will be shown what needs healing by what triggers. The details of the life or lives isn’t important, what is important is what you learned. What gifts will you integrate from those lives? What lessons will you see and not repeat? In what ways will you change your thoughts, beliefs, or actions, so that you open more fully. Just keep in mind that even through the confusion, body aches, emotional pain the goal is integration. The goal is for you to remember you. 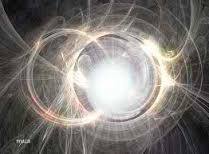 We are experiencing massive energies that are designed to help us integrate all of our parts: our shadow, our inner child, past lives, and even galactic lives. These pieces are all coming home so that you can embody more of your soul. Brief update on the Massive Energy Wave that has blanketed the earth. Every living thing is being affected by this energy in some way, shape or form. Amazing times! I would like to share with everyone an experience where I found myself being drawn into meeting with the Galactic Council for Light (GCL). In this meeting, I asked a number of questions that I thought was relevant to what I am seeing in regards to clients and other observations, as well as what I have been experiencing myself. This is an extract of the conversation that I had with the GCL. Jenny: These past few months have been exceptionally intense. One of my clients described to me that it is as if she is in the middle of the road, hit by a truck and as she stood up again, hit by another truck. I feel and believe that many people can relate to this sentiment. GCL: Yes, this intensity that you speak of has increased not only for the physical body, but also the dissonance held within one’s thoughts, beliefs, and actions is also being exaggerated. Jenny: What is the purpose of this increase in intensity? GCL: Simply put, integration. It is of utmost importance that each person integrate all of their being. Each person must choose to willfully integrate with all of their lower density parts; in order for complete integration of the higher aspects of their soul to be integrated. Some refer to these pieces as their shadow, their wounded inner child and while this is accurate; there are also fractions that have been squashed or separated from the whole because one feels they should or must act a certain way or become a certain persona. These roles, are now crumbling as the parts wanting to come to the whole are getting louder. This is the reason many are seeing the ego rise up, even in those who have proclaimed to have overcome such separation. It is important to understand that your life is a microcosm of the macrocosm. Source created all; the galaxies, the worlds, the star systems. Each soul created was Source fracturing into millions of pieces so that information could be gathered and returned. Source wanted to experience all that is and all that it is not. As each soul expresses its own version of learning the main goal is to return to the one with information and a new perspective. . This is no different than the goal each being on earth has undertaken. Each soul that chooses to come to earth, do so to experience all that it is and all that it is not. This experience may take many, many lifetimes or it may only take a few. The main goal is the same: to learn, to grow, to experience, then to integrate. When source integrates the pieces that have returned to it, it is not done in disdain for the experiences but with deep love and understanding. For you see, while the intent was to explore all that Source was not as well as what it is, what has been learned is SOURCE IS ALL. There is NO distinction between what was considered part of Source and what was considered impossible characteristics. When Source integrates these lessons, experiences, feelings and emotions, it is done with great love and joy. As each integration brings more understanding and oneness. This is what is being asked of each of you as well. To integrate fully with each piece, each experience, each lesson with joy and love. This is the only way that true oneness can be reached. As we move forward on this journey many are finding that they are able to hold great light, higher frequencies, yet there is still dysfunction hidden deep within. There is a tendency that the more light a person holds the more they would like to deny the parts that still reside in the lower dimensions. It is these pieces that are showing themselves very strongly now. As you were shown, in the next few months we will begin the process of separating the frequencies. 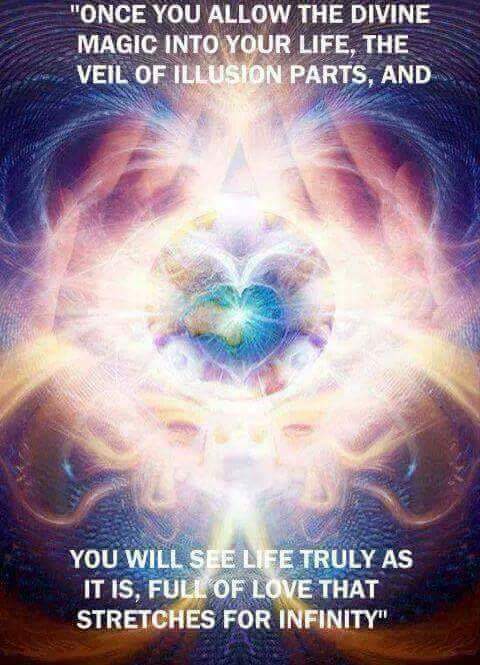 Each person will be required to maintain their frequency at a higher rate in each moment. In order to do this, the pieces that still reside in the lower dimensions must be integrated and welcomed home with love. Jenny: What does this look like for people? GCL: For many the topic at hand is self-worth and the undoing of eons of conditioning that preached sacrifice of self and unworthiness. For others deep wounds will open to be healed, accepted, forgiven and then integrated. For some it will be a deep shaking of all beliefs so that one is forced to take a look at what they are creating, allowing in, and there by perpetuating in their life. To understand what people are going through one must only look to the collective. Here again is an example of a microcosm revealing itself in a macrocosm. Jenny: It was explained to me that in a few months the separating of frequencies is to begin, but will be slow and last almost 2 years. Is this accurate? GCL: Yes, the purpose of the separation is for the lower densities to completely collapse. If it was done in an instant, many would be unable to live in the higher frequencies. Everything is being done so that every soul has the opportunity to go forward. We are very hopeful that this will be the case for the majority of humanity. Jenny: So right now, the most important thing is the self-work? The integration? GCL: Yes, but one cannot forget that in all of this the return to joy is needed. Joy and love are your natural state. Returning to self, being fully integrated within your soul, will require you to return to this. GCL: Yes, many must get in touch with who they were as a child before layers of obligations and beliefs were heaped upon them. Yet, what must be understood is that being in a state of joy does not mean that all I perfect in the moment, but that all is happening for the highest perfection. GCL: It has been our pleasure. I hope that this is as helpful for you as it has been to me. Thank you to all who share this work. It means the world. We had an M class flare today. These are big time DNA changers and the codes coming in were huge. I was with a client today when I started vibrating and freezing. Usually I can hold them off till I’m done working, not today. After the download today, my sinuses started running, detoxing themselves. Major cleanses happening. These can make you float out of the body, so first step is grounding into your body, getting your consciousness all the way to the tip of your toes. Feel every part of the body. From this place then ground into the crystal core of the earth if you feel called too. Not everyone does feel that grounding into the earth is right in this now. Trust you! Epsom salt baths and grounding crystals like tiger iron can help you stay in the body. I find caffeine can make things worse for me, but each person is different. Body aches, deep bone aches and teeth aches are common. Feels like you are coming down with the flu. If your body calls for rest, the best thing to do is honor it. Dreams can be intense with these energies swirling. Do your best not to attach to what you see or experience.